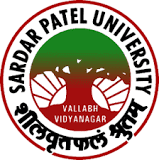 Sardar Patel University Recruitment 2018 Job alert both Fresher and Experienced can get Sardar Patel University recruitment 2018 updated on January 3, 2018 notification on recent Sardar Patel University recruitment 2018 openings across India. This is an exclusive page updated on 03.01.2018 for the latest recruitment notification spuvvn.edu from Sardar Patel University 2018 it contains both active and recently expired Job openings and recruitment notification from Sardar Patel University 2018. Qualifications: S.S.C./H.S.C. with English and Diploma in Agriculture or B. A. with Economics /B.Sc. Agriculture. Preference would be given to the candidate having experience of agriculture survey work and computer knowledge. Selection will be made on the basis of interview of short-listed candidates. The prescribed application form with instructions to the candidate can be obtained from the Office on payment or can be downloaded from the website (www.aercspu.ac.in or www.spuvvn.edu). Completed application with a demand draft (if application is downloaded from our website, attach demand draft of Rs. 125/- as processing fee -non refundable, drawn in favour of Agro-Economic Research Centre', payable at Vallabh Vidyanagar, Anand and copies of testimonials should be sent in a cover superscribing "Application for the post of Fieldman in CCS" and should reach the undersigned on or before January 20, 2018. Applications received after the last date will not be entertained and the Centre takes no responsibility for any delay in receipt or loss in postal transit.